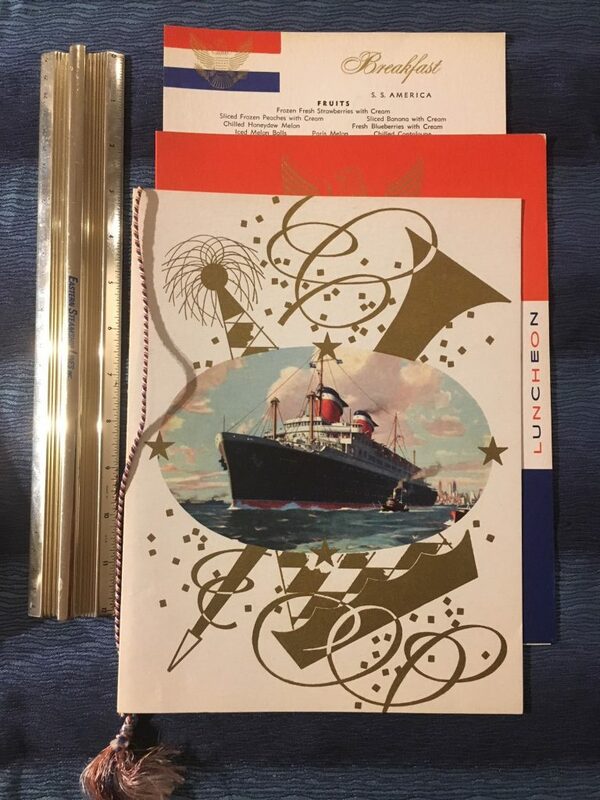 3 menus from a September 1959 voyage. There is a breakfast, lunch and dinner menu … (all different dates). In excellent condition with minimal wear.